it is well on its way of "De-Rice"
i love it, handle alot better, the car doesnt feel like its gonna flip over going around a corner anymore! Damn, your roads need some luv. 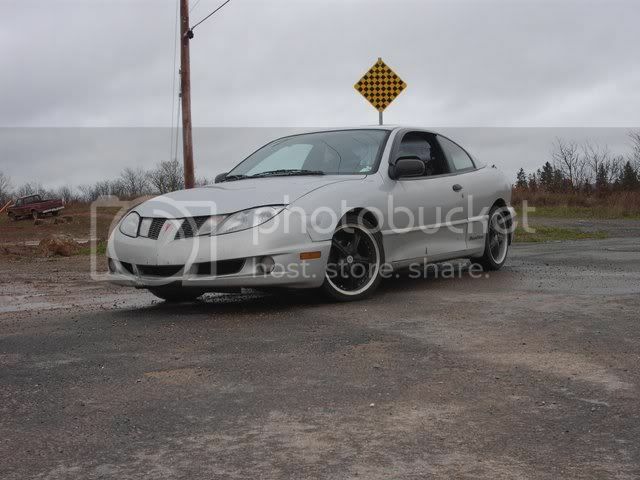 Also, the Sunfire's looking good. 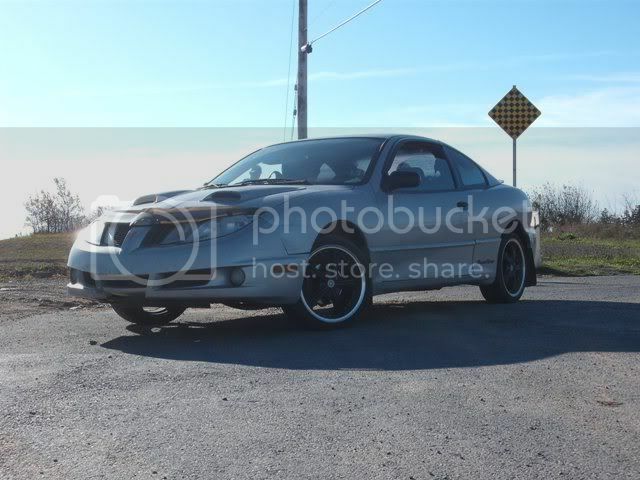 I could not find it but the wife has an 04 Cavalier what suspension did you use? Wow, what a difference! When I dropped my 'fire I couldn't believe the change. I'll never go back! I used the Eibach Pro Kit springs and KYB AGX shocks/struts. I'm with notallthere-- what setup are you running? i like it. i know the feeling when its finally dropped. good to have. Really big difference, and very nice drop!! !